Thomas Doochin was still in college when he decided to proactively give a damn. 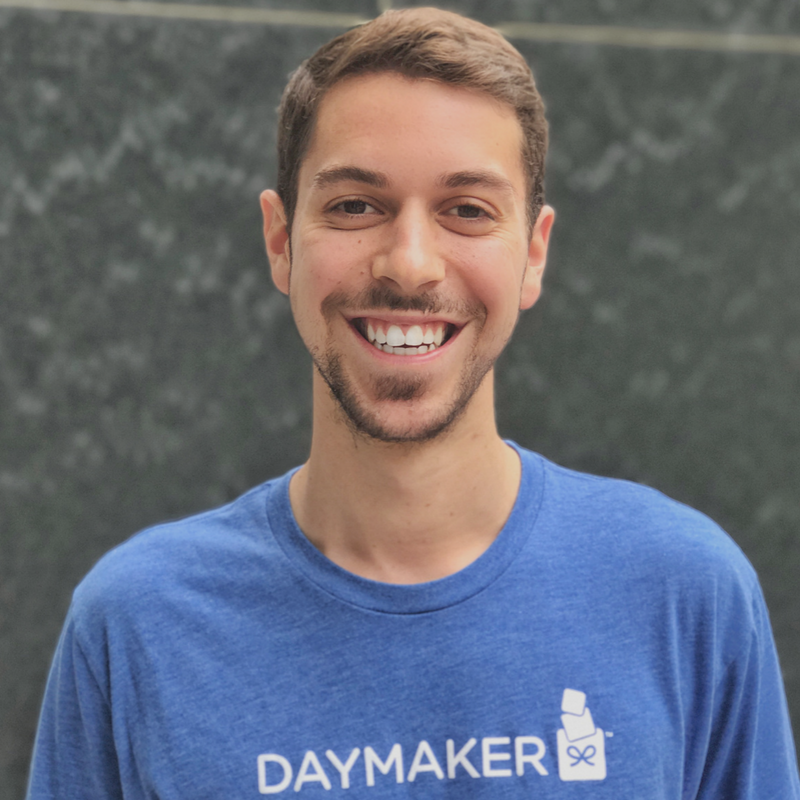 While doing his undergrad at UNC, Thomas and some of his closest friends started Daymaker. Daymaker exists to help cultivate the art of giving in the lives of children. They’re using this unique platform to teach children that is truly is better to give than to receive. Over 9000 children have chosen to give to other children in need through Daymaker so far. Thomas is only 23 but he is a already a fountain of wisdom. He humbly shares so much of that wisdom and other things he is learning with us in this candid conversation. I hope you’ll enjoy our conversation. I know you’ll be challenged! Follow the work Thomas and his team are doing on Twitter, Instagram, and on their website. Follow Thomas on Twitter and Instagram, also. If you enjoyed our conversation or have a question, let Thomas know! He’d love to hear from you.